Paratroopers are a force to be reckoned with. They can slip far behind enemy lines and wreak havoc against an enemy's support units, making life easier for those in the main assault and striking fear into those who assumed they were safely behind defenses. What's worse (for the enemy), after the initial airborne assault, you're left with the famous "little groups of paratroopers" — small pockets of young men brave enough to jump out of an airplane, all armed to the teeth, ready to defend themselves, and devoid of supervision. But for as daring and lethal as paratroopers are, they're still, essentially, light infantry once they hit the ground. Light infantry can do a lot of things, but when they're tasked with hitting prepared positions or facing off against enemy tanks, they tend to take heavy casualties. So, how do you reinforce troops that drop from the sky? You drop armor out of the sky, too. The BMD-1 was the Soviets' answer to the question of bringing armored support to their paratroopers. In 1965, the Russians began designing an infantry fighting vehicle that could be air-dropped. Eventually, this came to be known as the BMD-1. BMD stands for Boyevaya Mashina Desantaor, in English, "airborne combat vehicle." The BMD-1 packs some impressive firepower: it uses the same turret as the BMP-1, packing a 73mm gun, a launcher for the AT-3 Sagger missile, a coaxial 7.62mm machine gun, and a bow-mounted 7.62mm machine gun. This vehicle has a crew of two and carries five infantry. It has a top speed of 40 miles per hour and can go a little over 370 miles on a tank of gas. Unlike its American contemporary, the M551 Sheridan, a vehicle designed to support American paratroopers in similar ways, the BMD was exported to a number of Soviet clients. 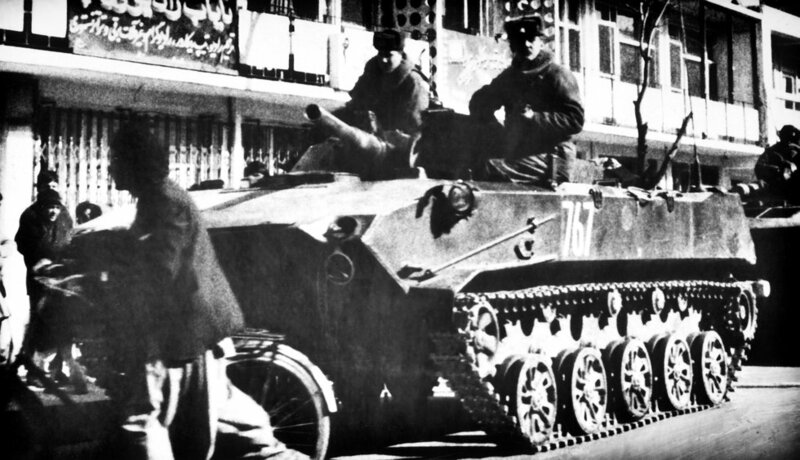 The BMD saw action in the Angolan Civil War, the Soviet invasion of Afghanistan, the Iran-Iraq War, Desert Storm, and fought in the Second Chechen War and the 2008 Russo-Georgian War.